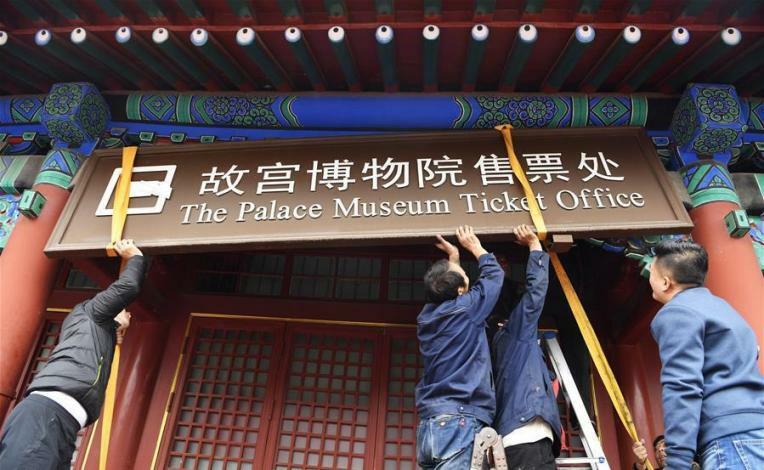 The Forbidden City in Beijing removed its plaque of the ticket office yesterday, making it has begun to sell all its tickets online only since ever. Meanwhile, the Forbidden City is going to establish a service office to help visitors book tickets online. The Forbidden City is limiting the daily number of visitors to 80,000, and requiring both individual visitors and tourist groups to book tickets in advance online (booking address: http://gugong.228.com.cn). Foreign visitors shall provide passport numbers during the online booking. The online booking system allows visitors to buy admission tickets 10 days in advance.